Microsoft had a rather lackluster launch to their second generation mobile operating system, Windows Phone 7. Now with the eagerly awaited update of Mango, the Windows Phone experience finally brings forth its copy/paste and multitasking features. Also some general bugs fixes and user interface updates. The largest (both literally and figuratively) herald of this new Windows 7.5 update is the HTC Titan. With a 4.7 inch screen, it’s the single largest WP smartphone, ever. So, with an update and a solid non-Nokia partner, is the biggest and ostensibly best Windows offering from HTC worth $650, well it depends, do you have $650 to experiment with? The HTC Titan is aptly named, as the phone is huge in every respect, but it’s also thin, so with dimensions of 5.18 x 2.78 x 0.39 inches (131.5 x 70.7 x 9.9 mm) and a weight of 5.64 oz (160 g), the phone is sort of titanic. Also it stretches the palm and feels uncomfortable if you try to reach the Power/Lock button. Think of it as a very small tablet rather than a huge phone, that’s a more accurate description of the Titan. At the front we have the massive 4.7 inch capacitive S-LCD screen in WVGA resolution (cue the disappointment music…) capable of supporting 16 million colors. The screen looks clear and gorgeous an arm’s length away, but up close you’ll start to notice the pixels. It seems Windows Phone 7 can’t handle multiple screen resolutions. Otherwise HTC could have put a qHD screen, but alas they’ll make do with what they can. Underneath the screen you’ll find the three buttons of Back, Windows/Home and Search. They provide generous haptic feedback and come with white back lighting. There is a give when you press them down, as if the area underneath them is hollow. On the right you’ll find the volume rocker and dedicated camera shutter key, while on the left all you’ll find is the open microUSB port. On top there’s the really difficult to reach Power/Lock button and 3.5 mm headphone jack. The backside has the round 8 MP camera lens and dual LED flash holes. Pop back the cover and you’ll find the battery and SIM card slot. No microSD card slot to be found anywhere. Now for the user interface, and to Windows credit, they’ve managed to keep it pretty simple and easy. The Metro UI has been updated, so that now the People Tile shows live picture updates, and the picture tile itself shows rotating pictures from your library. Everything is super synced and super easy to use and makes absolute sense. However, when compared with 90% of the competition, the Titan takes a bad beating in terms of screen clarity, it has a relatively low end WVGA screen with pixels becoming visible up close. If you’re in search of a Super AMOLED or qHD screen, you are out of luck. There is absolutely no lag or stutter during operations, and the keyboard is phenomenal, simply the best if not the ugliest keyboard I’ve ever used. The minimalism works for the sake of simplicity, whatever typing algorithm Microsoft have used on the keyboard, it’s simply magical. Every touch registers on the correct key, every time. The only keyboard this good is iOS’s keyboard, and this one is better. Also the paste to copy is fixed now and makes sense, just tap to hold and then drag over text and tap again, select copy and you’re done. Another addition in the Mango update is the introduction of Multitasking, sort of. They’ve opted to simply do “what the Apple people did”, as in your tasks at the forefront are frozen until you get back to them, and tasks that need constant updating continue in the background. You cannot kill apps directly from the multitask screen and you’ll get the occasional bug, such as apps restarting or booting up. Also the multitask is launched via a long press on the Back button, instead of the Home/Windows button. The update also brings to light new innovations within the People tile, which serves as your contacts menu or phonebook. The What’s New section provides continually updated information from all your Twitter, Facebook and LinkedIn social circles. More can be added. The All section serves as a normal phonebook and a social hub, you can call a person or send them a message on Facebook, it’s your call. Messaging is pretty smooth, as long as you’re signing into Microsoft’s own creations. Hotmail works well, Gmail and Yahoo crash, retrieve mail incorrectly and do not integrate well with social integration. I rebooted the phone later on and the problem disappeared, not sure what was going on there. Messaging can be done in many, many ways. You can email directly from the All section, IM in almost every pane, send direct emails from separate or conjoined inbox’s, send similar messages from the What’s New section, SMS from the People section, send an MMS after taking a picture or just attach it to an email or SMS. Seriously, that’s not even half of the methods you can use to message another person, not even half. Of course, the Titan being an international GSM based phone, has no 4G capabilities, but the HSDPA frequencies of 850, 900 and 2100 should get you close. I was able to achieve download speeds of 1 MB/s and upload speeds of 5 MB/s, so all in all good enough for any Xbox Live tasks you may wish to complete. Calling is handled via the 2G frequencies of 850, 900, 1800 and 1900 and while Bluetooth is handled by and I kid you not–version 2.1, the most up to date Bluetooth version is version 4, while 90 percent of new smartphones use Bluetooth version 3. So sweeping the prehistoric Bluetooth incident under the rug, we have Wi-Fi (802.11 b,g,n and DLNA) and microUSB 2.0 to round off the local connectivity suite. The phone runs on a single core 1 GHz Scorpion processor, with an Adreno 205 GPU for graphics and the Qualcomm MSM8255 chipset. 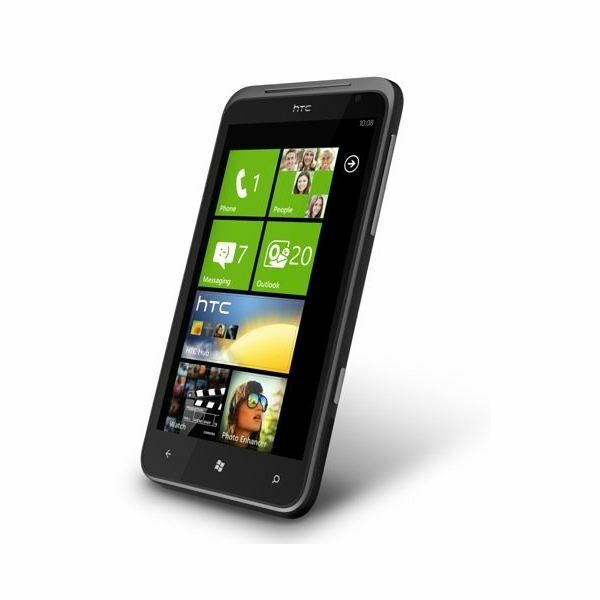 It handles the demands of WP7 (Windows Phone 7) without any issues. Any problems or bugs you encounter are the result of a premature OS, nothing to do with the processor. So, remember the lack of microSD card slot? That’s because you have to make do with 16 GB of internal memory, of which only 12 GB is available to the user. The 8 MP autofocus camera is thankfully, wonderful. With a 28 mm wide-angle lens and back-side illuminated (BSI) sensor, pictures turn out colorful, bright and truthfully represented. You can fit in a much wider scene that comes out beautifully lit, that’s basically what the above specs mean. You have various modes and scenes to play around with, and the camera fires up in less than a second, it’s faster than the HTC Sensation’s camera. The phone unlocks while simultaneously launching the camera app if you simply press the shutter button. The camcorder can record 720p HD videos, in stereo sound with the LED acting as a shooting light. You can toggle the contrast, saturation, sharpness, white balance and exposure before shooting videos. You can also add image effects. Images turn out clear and with plenty of detail, almost no pixelation and it doesn’t get fazed by quick turns, so all in all it’s a pretty good camcorder. The Music+Videos Tile houses Music, Video, Podcasts, Radio and Marketplace. You cannot watch videos in any other format other than MP4, but the built in Zune desktop converter handles and converts the various media files for you. You can watch 720p HD videos without a problem and play most music files (MP3,WAV,WMA and eAAC+) without a hitch. The radio is local FM only and requires the plugging in of your earphones, no online radio stations here. Also Zune syncs and works on a Mac without any problems. The Marketplace, that’s like Microsoft’s App store, has about 40,000 apps to offer, a majority of them free. On the actual phone you’ll find a YouTube link, not an actual app. Document viewer/editor (MS Office), voice memo, predictive text input, Bing search and Maps, GPS, Digital Compass and Xbox Live. Now we see if the HTC Titan can hold up as a phone, we’re about to test its call quality, web browser and battery life. The Titan has a secondary mic to cancel out background noise, and it functions perfectly well. Calls sound lucid and clear, with little static if any, and the loudspeaker is just as good. The signal bar holds on very well, even in areas with traditionally low signal output. Callers sound clear and are easy to understand, so overall the call quality is very satisfactory. The browser, for all its minimal UI, smooth zooming, QR tagging and three tabs browsing, has no Flash support, whatsoever. The browser’s search bar is placed at the bottom instead of the top, and after a few seconds it hides itself. You can”pin” a webpage as a tile on the tiles screen, also you can take a picture or scan a QR tag, and the phone will search and reproduce the results. So despite the lack of Flash, which is a truly stupid oversight, the mobile version of Windows Explorer works well. The Titan comes with a Li-Ion 1600 mAh battery which will easily last one and a half days on minimal use, and about 10 hours on heavy use. Super heavy usage will render it dead within 5 hours. Talk times range from 7 hours on 2G to about 5 hours on 3G. 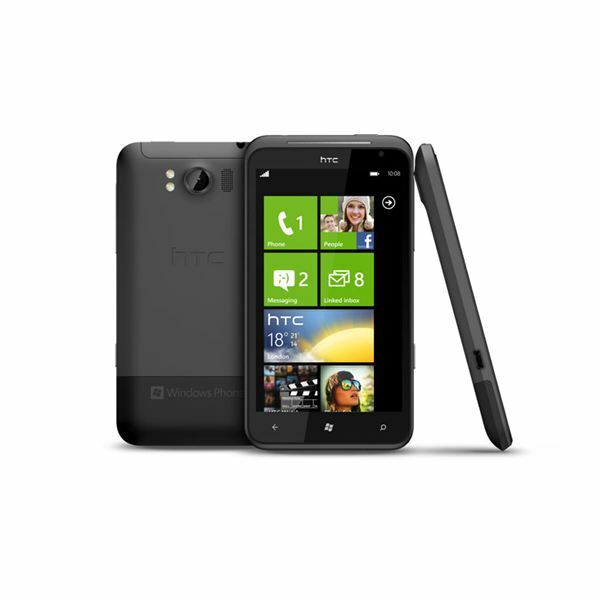 So, to sum up the HTC Titan, let me say this– as a WP7 phone, the Titan is one of the best so far. But as a smartphone, it falls somewhere into the average category, when compared with opponents in a similar price bracket. The competition has better built phones with more powerful and established OS’s. With no bugs, a lot more apps, much better screens, microSD card slots, dual-core processors and a lot more, all for basically the same price tag. So if you’re looking for a good smartphone within $650, the Samsung Galaxy II, the HTC Sensation and many, many more will offer you a better deal. But if you absolutely must have a Windows Phone 7 device, then the HTC Titan is the best Windows has to offer, so you might as well get it.